The best features of Eger wine red grape varieties combining red wine. 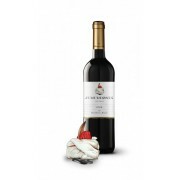 Deep ruby color, velvety, spicy flavor, which is very popular among wine consumers. After a lengthy process of new oak casks and bottled with a consumption of 17 ° C we recommend.